• G.I. 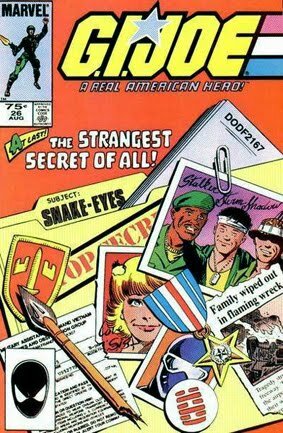 JOE #26 "Snake Eyes: The Origin"
• PLOT SUMMARY: Not only do we finally find out the secret origin of Snake Eyes . . . not only do we find out the true past of Storm Shadow . . . we get a major revelation about Cobra Commander!